Visit north-east Siberia, the Sakha Republic (Yakutia), and Magadan via the BAM railway, the Lena, Angara, and Vilyui Rivers, and the Yakutia and Kolyma Highways. 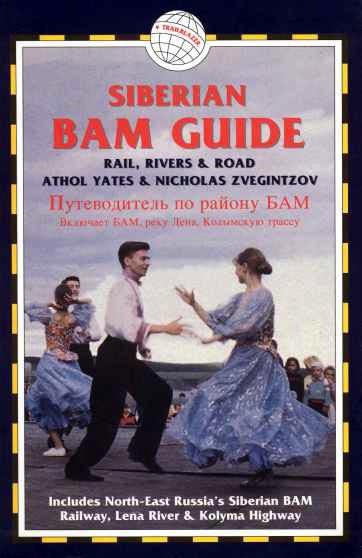 Find everything you need (and more) in Siberian BAM Guide - rail, rivers, and road / Includes North-East Russia’s Siberian BAM Railway, Lena River & Kolyma Highway, 2nd edition, by Athol Yates and Nicholas Zvegintzov. Trailblazer Publications, UK. 2001. ISBN 1-873756-18-6. 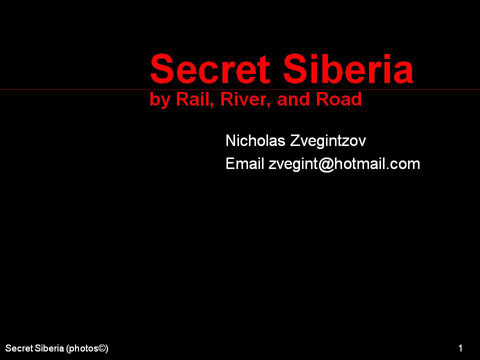 157 pictures and maps of sights and life in summer and winter along the the BAM railway, the Lena River, Lake Baikal, and Sakha (Yakutia), many not in the guidebook.